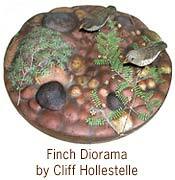 Lincoln, Neb., Sept. 7, 2005 -- Using cutting edge research, a new exhibit at the University of Nebraska State Museum gives a modern shine to Charles Darwin's 146-year-old theory on evolution. The permanent exhibit, Explore Evolution, which opens to the public Sept. 10, was developed by a consortium of six partner museums led by the NU State Museum and prominently features the work of two UNL scientists. Cameron Currie studies some of the world’s smallest and most ancient cooperativesfungus-growing ants and their associates. Currie focuses on the ecology and coevolution of animals and microbes, specifically how microbes shape the biology of higher organisms. Currie has made a major breakthrough in the study of attine ant farms of Central and South America. Mutual dependency between the ants and a fungus they grow as a crop has long been known to science, but Currie has discovered two more participants in this cooperative: a bacterium and a specialized crop pest. His discovery was the first documented case of a four-way symbiosis in nature. The symbiosis dates back more than 50 million years and appears to be less a cooperative association than a coevolutionary arms race. Currie has discovered that the ants have evolved mechanisms for dealing with a potentially devastating crop pest, including special chambers on their body that house and support a type of bacteria that produces an antibiotic against the pest. Currie’s groundbreaking research earned him a 2001 Natural Sciences and Engineering Research Council (NSERC) Doctoral Prize in Canada. He continued his study of this complex symbiosis as a postdoctoral fellow at the University of Texas at Austin and then as assistant professor at the University of Kansas. 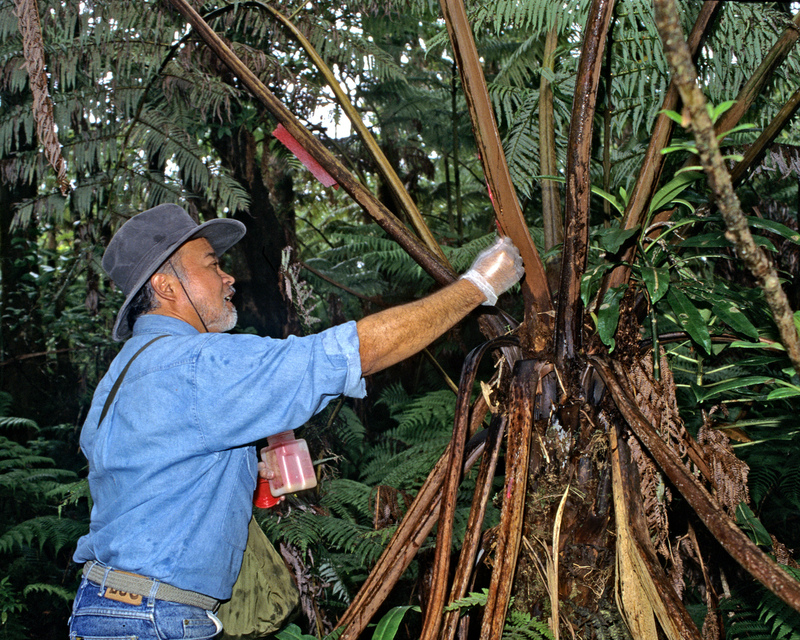 A five-year $2.7 million grant from the National Science Foundation has enabled him to conduct research trips to Argentina, Ecuador, and Panama to bring back samples of ant nests to study in his lab. The NSF-funded project has included collaboration with researchers at the University of Texas at Austin and the Smithsonian Tropical Research Institute in Panama. Through his research into the evolution of antibiotic use by ants, Cameron hopes to shed light on the evolution of resistance in the diseases faced by humans. Sherilyn Fritz researches climate change and its impact on environments past and present. She works at the interface of geological, biological, and atmospheric sciences, exploring the complex interactions of all these systems. Much of her work involves taking core samples from lake sediments in search of fossil diatoms (one-celled algae) that have accumulated in the sediment layers over time. Diatoms are very sensitive to lake chemistry and are good barometers of climate change. 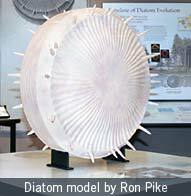 Fritz reconstructs a lake's environmental and climatic history from the different kinds of diatoms present at different times. The recent discovery of a new diatom species unique to Yellowstone Lake gave Fritz and Edward Theriot, a diatom expert at the University of Texas at Austin (see bio), an opportunity to investigate the emergence of a new diatom in the fossil record. By taking core samples from the lake, the scientists exposed a continuous record of diatom fossils dating back to the formation of the lake 14,000 years ago, and along with it, a unique record of evolution. The fossil record shows that within the first 4,000 years, the diatoms of Yellowstone Lake gradually changed. Fritz and Theriot hypothesize that the region’s warming climate may have contributed to the emergence of the new species, named Stephanodiscus yellowstonensis after its hometown lake. Fritz is also engaged in coring studies at Lake Titicaca in Boliva/Peru and in the North American Great Plains. Her research is funded by the U.S. National Science Foundation and National Park Service. 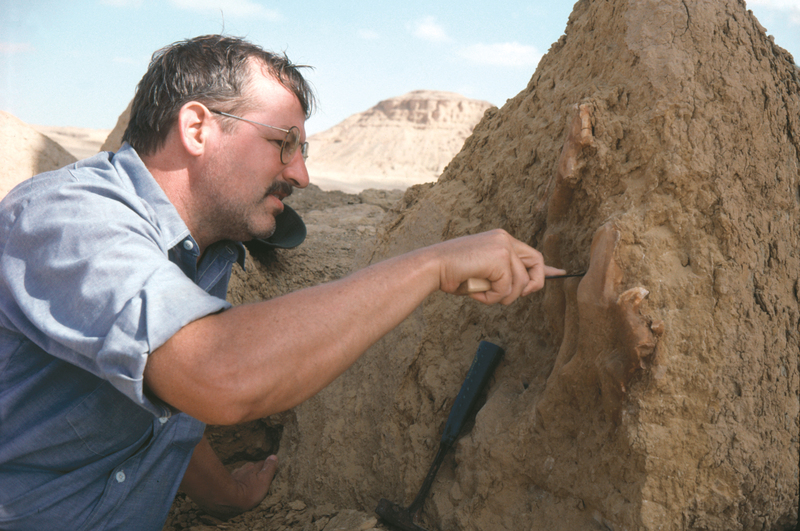 Philip Gingerich’s research focuses on vertebrate paleontology and the evolution of mammals, in particular whales and primates. His extensive fieldwork in Pakistan and Egypt has yielded important early and intermediate forms or “missing links” in the fossil record that help to document the origin and early evolution of whales. 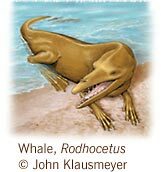 Major discoveries include the earliest known whale, Pakicetus, and the archaic whale Rodhocetus, both of which had legs and lived on land. 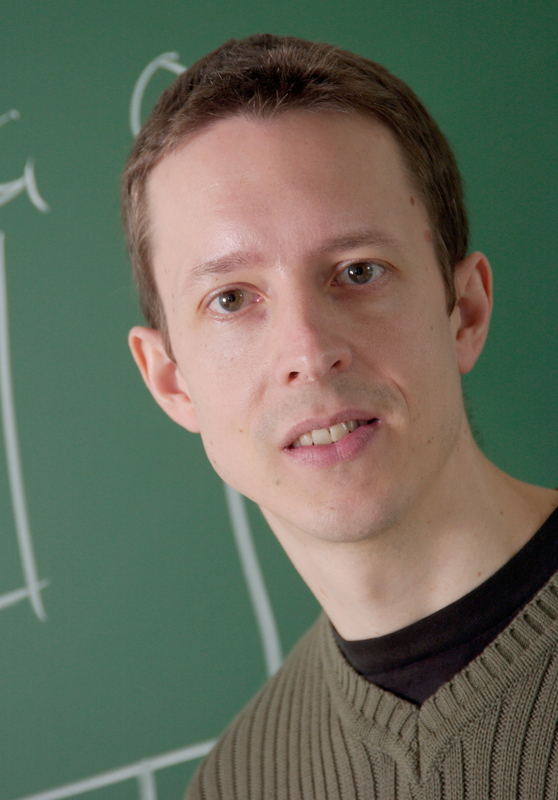 Gingerich has also carried out extensive research into rates of evolutionary change. He is interested in understanding how the process of evolution, acting from generation to generation, produces micro-evolutionary and macro-evolutionary changes in longer (i.e. historical and geological) scales of time. Other interests include research into the impact of environmental and climatic change on evolution. Ongoing fieldwork with students in Wyoming reveals that a period of rapid, short-lived global warming is linked to the appearance of modern mammals. Rosemary and Peter Grant research the evolutionary impact of climatic and environmental change on populations of finches inhabiting the Galápagos Islands. 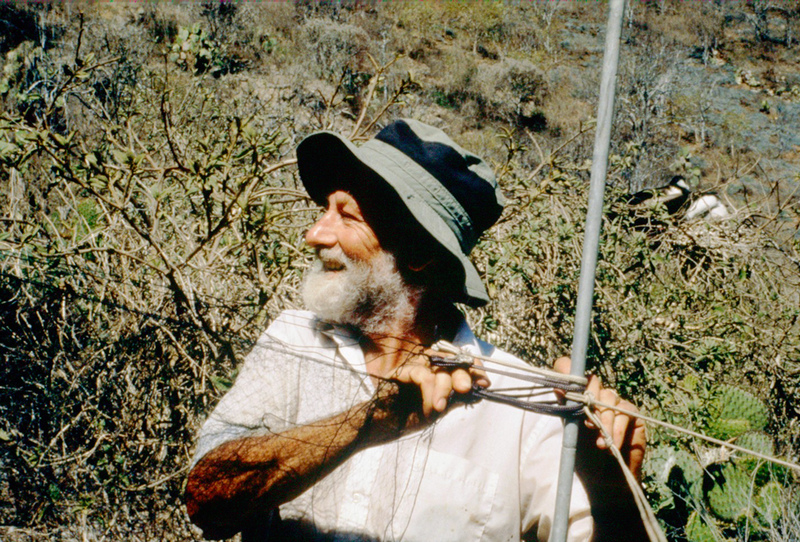 The Grants began the research in 1973, returning to the Galápagos every year for more than thirty years to take detailed measurements of the finches and to keep track of variations in climate and food sources. One of their goals was to investigate whether natural selection produced evolutionary change quickly enough to be observed and measured. The Grants were able to chart evolutionary changes in finch beaks and bodies not only over the span of 30 years, but sometimes from one breeding season to the next. Their painstaking research is considered to be one of the best studies of speciation ever conducted. The Grants are interested in a wide variety of questions in evolution, ecology, and behavior. Current goals include a better understanding of how complex communities develop from simple ones, and how macroevolutionary patterns (large evolutionary changes, such as the origin of beaks or wings) arise from microevolutionary processes (small changes, such as beak size and shape). Henrik Kaessmann researches the genetic similarities and differences between humans and their closest evolutionary relatives, the great apes. He earned his doctorate in the laboratory of Svante Pääbo at the University of Munich and then at the Max Planck Institute for Evolutionary Anthropology, Leipzig, Germany. In a major study published in 1999, Kaessmann, Svante Paabo, and colleagues compared a segment DNA from humans and great apes to determine which parts were identical and which were unique to each. The comparison confirms previous studies showing that humans are almost genetically identical to chimps and that we shared an ancestor about 5 to 6 million years ago. 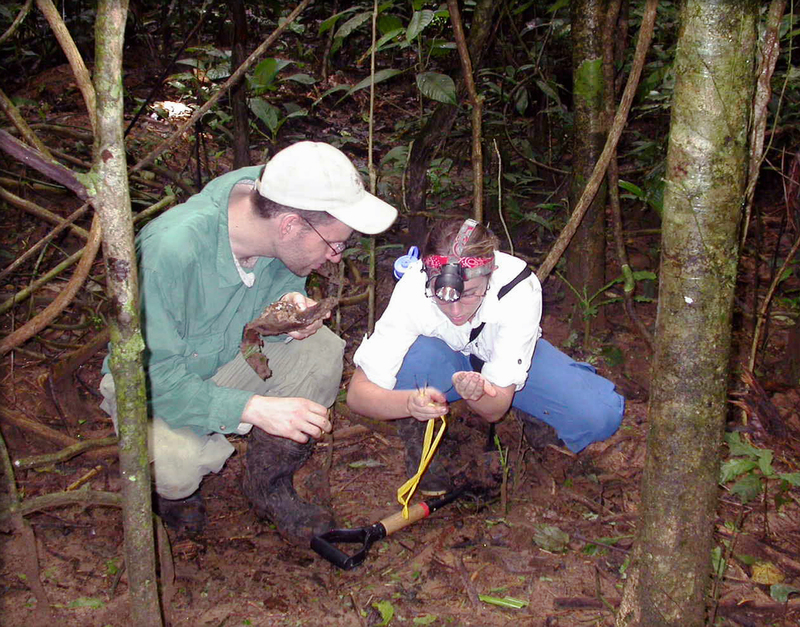 Kaessmann undertook postdoctoral training in the Department of Ecology and Evolution at the University of Chicago, where he worked on the origin of human genes and gene structures. He is currently at the Center for Integrative Genomics at the University of Lausanne, Switzerland. His research questions are the genetic differences that set us apart from other primates and what is genetically unique to humans and their closest evolutionary relatives, the apes, compared to non-hominoid primates. Kenneth Kaneshiro researches the dynamics of sexual selection in Hawaiian Drosophila, an astonishingly diverse group of flies found only in the Hawaiian Islands. The 800 or more species of flies in Hawaii may have descended from a single species that blew to the islands from somewhere around the Pacific Basin several million years ago. Kaneshiro hypothesized that sexual selection played a more important role than natural selection in the explosive adaptive radiation of this group, at least in the initial stages of species formation. Results from experiments conducted in Kaneshiro’s laboratory at the University of Hawaii confirm that mating preferences among female flies play a significant role in the formation of new species. In his position as Director of the Center for Conservation Research and Training, Kaneshiro also investigates the role of sexual selection in populations faced with extinction. A better understanding of the biology of rare and endangered species may help biologists find ways to recover species on the verge of extinction. Svante Pääbo is a leading authority on the genetic basis of human evolution. In 1999 his laboratory team, including Henrik Kaessmann, worked on a major study of human and chimp DNA. The results showed that humans and chimps are almost genetically identical and that they shared a common ancestor about 5 to 6 million years ago. Pääbo first studied Egyptology and molecular biology at the University of Uppsala, Sweden, where he developed techniques to extract DNA from fossils. Pääbo and colleagues succeeded in extracting DNA from a 40,000-year-old Neanderthal fossil and then compared it with modern human DNA. Paabo’s team built an evolutionary tree based on the differences that had accumulated between the genes of Neandethals and Homo sapiens. Recently, Pääbo has focused on the genetic differences between humans and chimpanzees to learn more about how and when the two species diverged. Edward Theriot’s research focuses on the evolution of diatoms (one-celled algae), a major component of marine and freshwater ecosystems. Theriot was the principal investigator on the Yellowstone Evolution Project, a study that explored the evolution of a diatom species in Yellowstone Lake after the Ice Age. Joining Theriot on the project was Sherilyn Fritz, a geologist at the University of Nebraska-Lincoln. From core samples taken from the lake bottom, the scientists exposed a continuous record of diatom fossils dating back to the formation of the lake 14,000 years ago. The fossil record shows that within the first 4,000 years of the lake’s history, the diatoms of Yellowstone Lake gradually evolved into a new species. Theriot and Fritz hypothesize that the region’s warming climate may have contributed to the emergence of the new species, named Stephanodiscus yellowstonensis (after its hometown lake). Theriot came to the University of Texas from the Academy of Natural Sciences in Philadelphia, were he was Vice President of Biodiversity and Evolution, as well as curator of the diatom herbarium. 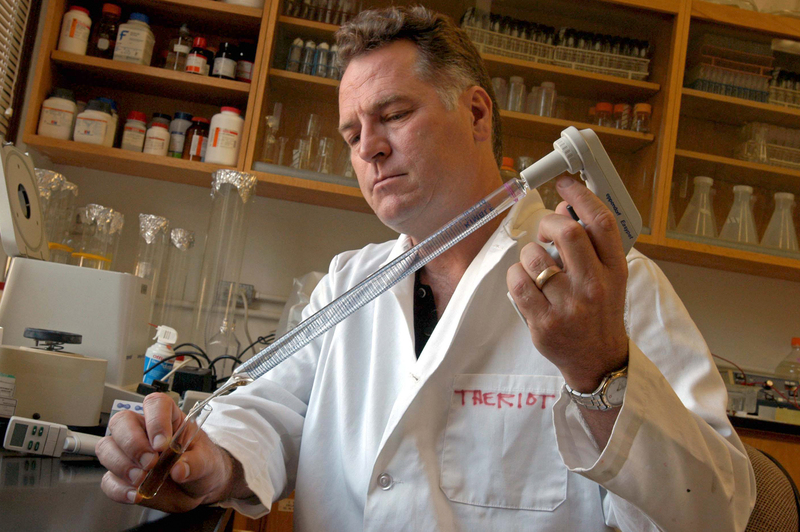 In his current position as professor of molecular evolution, Theriot directs a DNA lab and algal culturing facilities and maintains a diatom collection. 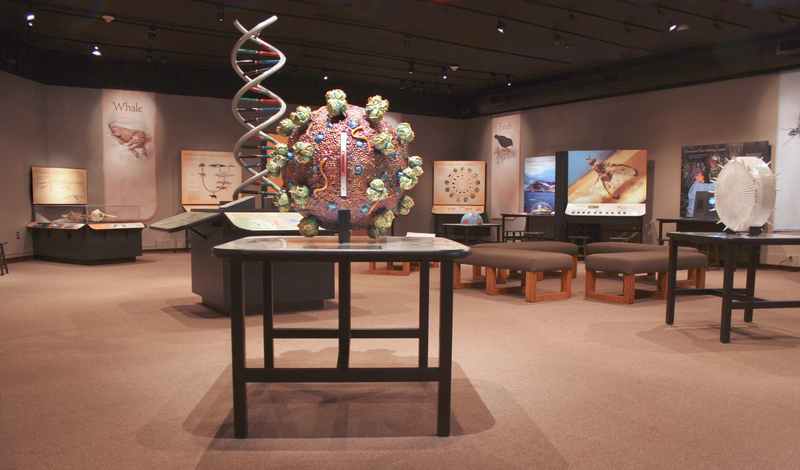 As director of the Texas Memorial Museum, he is interested in building the museum’s collection of rare and important specimens and enhancing the general public’s understanding of biodivesity. 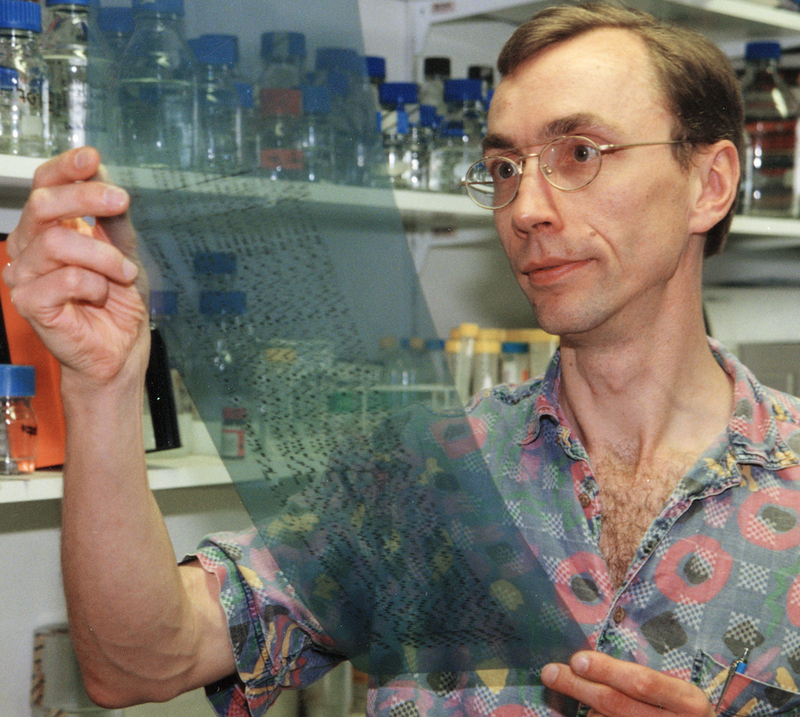 Charles Wood studies the transmission and evolution of viruses, in particular HIV. His research on HIV takes him to Zambia, a country in central Africa where HIV/AIDS is prevalent. Funding from the National Institutes of Health (NIH) enabled Wood to begin a project at the University Teaching Hospital in Zambia to study how HIV is transmitted from mothers to their infants, and how the virus evolves into new strains in the infected infants. Wood's research shows that HIVcan evolve rapidly in newborns, with new strains being produced that are resistant to the infant's immune system defenses. 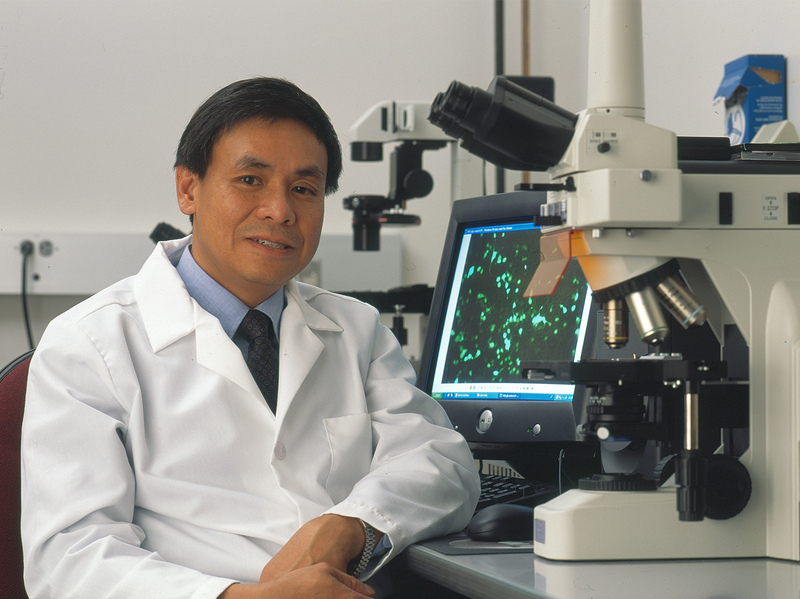 A native of Hong Kong, Wood has also been collaborating with and training researchers from China and has established a collaborative research program on HIV in China. In addition to the Zambian and Chinese projects, Wood has collaborated with researchers at the University of Miami and Harvard University on several HIV-funded projects on HIV- and AIDS-associated diseases. He also won a $10.7 million grant in 2000 to create the Nebraska Center for Virology at the University of Nebraska-Lincoln. The center links researchers at the University of Nebraska-Lincoln, the University of Nebraska Medical Center, and Creighton University. Carl Zimmer is the former senior editor of Discover magazine, a Guggenheim Foundation fellow, and the author of Evolution, the Triumph of an Idea, the companion volume to the PBS series broadcast in 2001. His latest book is Soul Made Flesh: The Discovery of the Brain and How It Changed the World. on Explore Evolution only. Please contact to receive these files. This image is available in higher resolution form for accredited media to illustrate stories on Explore Evolution only. Please contact to receive this file. Amy Spiegel, Ph.D., is a reseach assistant professor at the University of Nebraska Center for Instructional Innovation. Dr. Spiegel was evaluator of the NSF-funded Nebraska Statewide Systemic Initiative, the NSF-funded Wonderwise, Women in Science project, and the Humanized Physics Project, a curriculum project developing a college physics course with medical applications enhanced by multimedia and mathematical modeling. Wendy K. Gram, Ph.D. is the head of education at the University of Oklahoma Sam Noble Oklahoma Museum of Natural History and an adjunct assistant professor in the department of zoology at the University of Oklahoma. The Institute of Museum and Library Services (IMLS) and the Oklahoma State Department of Education have funded her programs and research in science education. 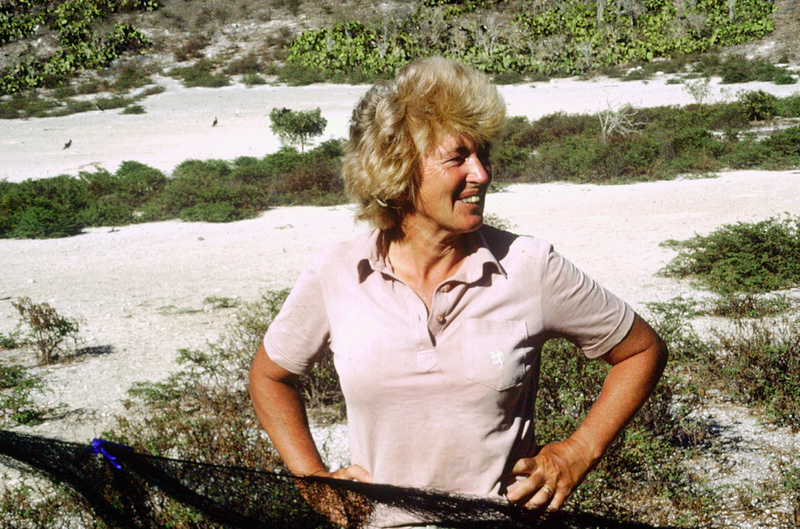 She has also published scientific studies on biodiversity and community dynamics in journals such as Conservation Biology, Ecology, and Ecological Applications. Judy Diamond, Ph.D. is the director of the Explore Evolution project and the award-winning Wonderwise, Women in Science learning series. Professor and Curator at the University of Nebraska State Museum, she is the author with Alan B. Bond of Kea, Bird of Paradox: The Evolution and Behavior of a New Zealand Parrot, published by the University of California Press. She is also the author of Practical Evaluation Guide, Tools for Museums and other Informal Educational Settings, published by AltaMira Press. Explore Evolution is a major new partnership forged between science museums and 4-H organizations to bring current research on evolution to the public. 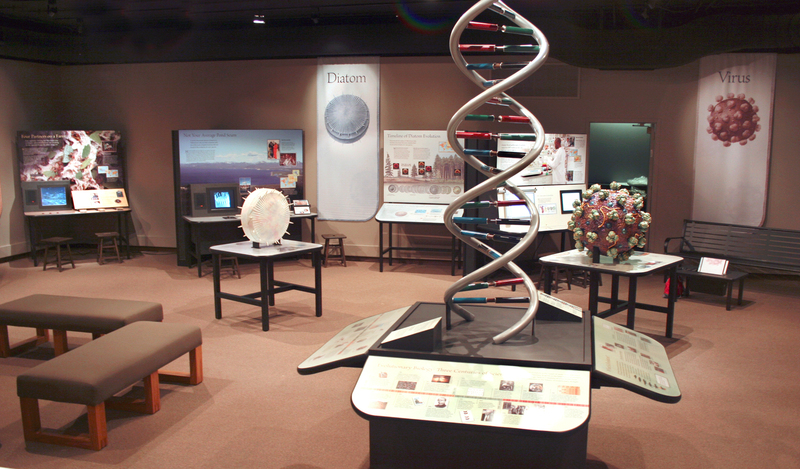 The result is identical permanent museum exhibits at six U.S. museums, a Web site, and educational activities for students. 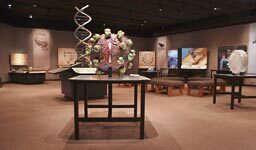 The project features the work of scientists who are making leading discoveries about the evolution of life. From rapidly evolving HIV to whales that walked, the public is invited to explore evolution in organisms ranging from the very smallest to the largest. Where and when can I see the exhibit? Explore Evolution can be viewed at six partner museums in the Midwest and South: Exhibit Museum of the University of Michigan (exhibit opens Jan. 14, 2006); Kansas Museum and Biodiversity Center at the University of Kansas (opens Nov. 1, 2005); Sam Noble Oklahoma Museum of Natural History at the University of Oklahoma (opens Aug. 27, 2005); Texas Memorial Museum at the University of Texas at Austin (opens about Sept. 2006), University of Nebraska State Museum (opens Sept. 9, 2005), Science Museum of Minnesota (opens Oct. 2005). Additionally, to make evolution accessible to youth, partner museums are working with five statewide 4-H programs: Iowa, Minnesota, Nebraska, Texas, and Wyoming. What are the student educational activities? Inquiry-based activities for middle-school youth will be available as a book titled, Virus and the Whale, Exploring Evolution in Creatures Small and Large, published by the National Science Teachers Association (NSTA) Pressm. What will I see at the exhibit? Explore Evolution focuses on seven research projects that have made a major contribution to our understanding of evolution: the work of Charles Wood on the rapid evolution of HIV, Edward Theriot and Sheri Fritz on the emergence of a new diatom species in the fossil record, Cameron Currie on fungus-growing ants and their coevolving partners, Kenneth Kaneshiro on sexual selection among Hawaiian flies, Rosemary and Peter Grant on Galápagos finches, Svante Pääbo and Henrik Kaessmann on the genetic ties between humans and chimps, and Philip Gingerich on fossil discoveries of walking whales. The new permanent interactive exhibit galleries will give visitors an opportunity to experience aspects of the research conducted by the scientists. Who paid for Explore Evolution? The National Science Foundation’s Informal Science Education Program awarded UNL a $2.8 million three-year grant in June 2003. It funds the creation of permanent galleries at six partner museums, a Web site, and activities for middle-school children. Project Team leader is Judy Diamond, Ph.D., from the University of Nebraska State Museum. Team members include Katrina Hase and staff from the Science Museum of Minnesota, science writer Carl Zimmer, scientific illustrator Angie Fox, curriculum author Linda Allison, writer Sarah Disbrow, Ph.D., and staff from the six partner museums. What is the mission of the University of Nebraska State Museum? The University of Nebraska State Museum promotes discovery in natural science through innovative research, scientific collections, learner-centered education, and public exhibitions. The State Museum collects and preserves organisms, minerals, fossils, and artifacts, thus fostering scientific understanding and interpretation of the Earth’s past, present, and future. Museum collections, with special emphasis on Nebraska and the northern Great Plains, are the biological and cultural heritage for the State of Nebraska. The collections provide essential data for scientists, natural resource users and managers, and decision-makers. Museum exhibitions are a catalyst for public education, inspiring curiosity about and engagement with the natural world and cultural diversity. The Museum faculty and staff foster intellectual growth in graduate and undergraduate students, recruit and mentor future scientists and educators, promote scientific literacy, and advance society by stimulating curiosity and discovery of our natural world and heritage of diverse cultures.